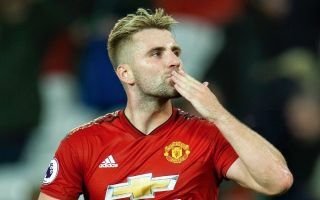 Manchester United boss Jose Mourinho has stated that Luke Shaw will return to the squad against Young Boys in the Champions League on Wednesday. Shaw sustained a concussion whilst on international duty with England last weekend, falling awkwardly against Spain when challenging for the ball against Dani Carvajal. The 23-year-old returned to club duty and full training on Friday, however, he was not selected for United’s trip to Vicarage Road on Saturday, with Ashley Young receiving his first start of the new season in his place. The Red Devils went on to secure a 2-1 victory against Watford, thanks to first-half goals from Romelu Lukaku and Chris Smalling, despite a second-half onslaught from the home side. Shaw had been ever-present for Mourinho’s men at the start of the new Premier League campaign, nailing down the left-back spot in the starting XI and impressing with his fitness levels and willingness to break into attacking positions. His momentum may have been stalled somewhat by his latest injury setback, but Mourinho revealed yesterday that he plans to thrust the Englishman straight back into action on Wednesday night against Young Boys. The Portuguese coach then went on to state how Young and Shaw are both vital components of his squad going forward despite both vying for the same position, before also adding that Matteo Darmian will have a role to play as well. “They are both doing well,” Mourinho continued. “They are both different players and I think they both understand that one is a young player and the other is the experienced one and it is good for us to have these two options, plus Darmian. The Red Devils will be expected to pick up the first win of their new European campaign midweek, before returning to Premier League action next Saturday against newly promoted Wolves.